JUNE 12, 2017 – JEFFERSON CITY, MO. – Watchdogs Children’s Rights, National Center for Youth Law (NCYL) and Saint Louis University School of Law Legal Clinics have today filed a landmark, civil rights complaint against Jennifer Tidball, Acting State Director of the Missouri Department of Social Services and Tim Decker, Director of the Children’s Division of DSS, on behalf of all minor children and youth who are or will be placed in Missouri’s foster care custody. The first class action lawsuit to shine a federal spotlight solely on the overuse of psychotropic medications among vulnerable, at risk populations – such as Missouri’s 13,000 children in foster care – the complaint alleges longstanding, dangerous, unlawful and deliberately indifferent practices by the defendants. July 5, 2014-"Thousands of Missouri parents are entitled to refunds for antidepressants prescribed to children because the drugs were unapproved for use in that age group, a federal judge has ruled. "Forest Laboratories and its subsidiary Forest Pharmaceuticals, which is based in Earth City, agreed to pay up to $10.4 million in refunds for misleading parents into giving the drugs Celexa and Lexapro to children and teenagers, according to a recent settlement of a class action lawsuit. "A judge in the case ruled that under the Missouri Merchandising Practices Act, "parents have the right to be fully informed about the potential efficacy of a drug," said Brent Wisner, a Los Angeles-based attorney for the plaintiffs. "Anyone who bought Celexa for someone under 18 from 1998 to 2013 or Lexapro from 2002 to 2013 is eligible for partial to full refunds, or $50 if the total amount spent on the drugs cannot be proven." Reference: St. Louis Post-Dispatch 7/5/14, "Parents can get refunds for some anti-depressant drugs given to kids." August 30, 2012-Missouri Attorney General Chris Koster, along with 37 other attorneys general, have reached a $181 million settlement with Janssen Pharmaceuticals Inc., a subsidiary of Johnson and Johnson. The state of Missouri will receive more than $4.3 million from the settlement, which resolves allegations that Janssen engaged in unfair and deceptive practices when it marketed Risperdal, a drug used to treat symptoms of schizophrenia, for unapproved or off-label uses. Koster said Janssen marketed Risperdal for uses for which the FDA had denied approval. Two security guards at Gateway Regional Medical Center in Granite City, IL were charged with involuntary manslaughter in connection with the death of a patient. Anthony Burkey was brought to the Medical Center by police when he appeared to be suffering from a psychotic episode. He was put in a room to undergoe psychological evaluation, given anti-anxiety drugs, and then the guards restrained him when he got angry by holding him face down on the floor until he stopped breathing. The two guards were indicted April 27, 2012 in Madison County, IL. Some of the side effects of anti-anxiety drugs are agitation, aggressive behavior, anxiety, confusion, fear, psychosis, and rage. Leave it to psychiatrists to give someone an “anti-anxiety”drug that only heightens their hysteria. According to the March 20, 2012 St. Louis Post-Dispatch, Christine Adewunmi drove her three young children to a remote spot in Crawford County and fatally shot them along with herself. She had been diagnosed with bipolar disorder, was suffering from depression, and had recently seen a therapist. A related CBS news article on March 19 said she had gone to Mercy Hospital for an evaluation March 15th and had told the hospital staff that she planned to admit herself for treatment the next day. While neither article indicated that she had been taking psychotropic drugs, the standard “treatments” for bipolar are psychotropic drugs known to cause violence and suicide. A Missouri teenager who told authorities she wanted to know what it felt like to kill pleaded guilty to murder, telling a judge on Tuesday [1/10/12] that she strangled her 9-year-old neighbor with her hands and slashed her throat with a knife. Alyssa Bustamante pleaded guilty to second-degree murder and armed criminal action in the Oct. 21, 2009, killing of Elizabeth Olten in St. Martins, a rural town just west of Jefferson City. Juvenile justice officials testified that Bustamante had attempted to commit suicide in 2007 and had been receiving mental health treatment for depression and cutting herself. The Hannibal Regional Hospital's Woodland Center for Mental Health closed on July 15, 2011. According to the hospital, the fourteen–patient inpatient unit, in operation since 1993, closed because their outpatient care is so much better. But really, they closed because of State of Missouri budget cuts for mental health care. Missouri mental health department officials have stated that it can be difficult to entice psychiatrists to work in rural communities, so they are typically paid more. In fact, 50 state workers are paid more than the Governor, and almost all of those employees (46 of them) work for the Department of Mental Health. Many get extra pay for working 24-hour shifts, no matter whether they are awake or asleep. We think that a better use of funds would be to provide actual, effective medical care. Click here for more information about this. Jefferson City 7/7/2011 — Attorney General Chris Koster said that Missouri will receive $948,385 from a settlement his office and 37 other state attorneys general reached with two pharmaceutical companies accused of substantial substandard manufacturing processes for Paxil CR, the controlled-release formulation of the antidepressant drug Paxil. Koster alleges that GlaxoSmithKline, LLC and SB Pharmco Puerto Rico engaged in unfair and deceptive practices when they manufactured and distributed unsafe drugs. The Springfield, Missouri News-Leader reported on May 13, 2011 that CoxHealth terminated six employees after a patient committed suicide in the psychiatric ward of Cox North Hospital last December. An inspection found that employees falsified paperwork about how often they checked on the safety of psychiatric patients. The St. Louis Post-Dispatch reports that a psychiatrist, Surendra Chaganti, who is banned from practicing at several local hospitals, faces a state discipline hearing that was scheduled to start Tuesday, 5 April 2011. Chaganti is accused of providing substandard care, ignoring a patient, inappropriately prescribing psychiatric drugs, altering patient medical records, failing to complete education courses, and not disclosing his record in applying for hospital privileges. The scheduled hearing was postponed because Chaganti's lawyer, who is also his brother, filed a petition to remove the state hearing commissioner from the case. Write to the Missouri State Board of Registration for the Healing Arts and urge them to revoke the medical licenses of psychiatrists who are found guilty of professional misconduct. The St. Louis Business Journal reported on 12/20/2010 that Elan Pharmaceuticals has agreed to pay a $102 million criminal fine and $101 million in civil damages and penalties to the federal government and states, including $1,781,042 to the Missouri Medicaid Program, to settle allegations that the company engaged in off-label marketing of its anti-epileptic drug Zonegran. Elan allegedly engaged in promotional activities designed to encourage pediatric neurologists to prescribe Zonegran, even though the drug was not approved for patients under the age of 16, and for a variety of psychiatric conditions not approved by the FDA. This comes after several articles exposed the lax policies of the Missouri State Board of Registration for the Healing Arts, allowing doctors who provide substandard care to continue to practice with impunity. Experience has shown that there are many criminal mental health care practitioners. Studies in numerous countries reveal that between 10% and 25% of psychiatrists and psychologists admit to sexually abusing their patients. Fraud in the mental health industry is an international problem estimated to cost more than a hundred billion dollars every year. St. Louis 11/16/2010 — GlaxoSmithKline will pay $600 million in federal and state civil damages, including $3.5 million to Missouri, to settle allegations the pharmaceutical company sold adulterated drugs, including the antidepressant Paxil CR. St. Louis psychiatrist Howard Goldstein pleaded guilty Tuesday, October 12, 2010 and admitted to lying to an FBI agent about making false Medicare billings. He would spend five minutes or less with a patient, for example, and then bill Medicaid for 20 minutes. Goldstein now must repay $830,329 in fraudulent billings, and his former employers SSM St. Charles Clinic Medical Group and SSM Healthcare owe another $865,812 to reimburse the government for Goldstein’s false charges. St. Louis 9/15/2010 — Forest Pharmaceuticals, an Earth City, MO drug maker, has agreed to plead guilty to federal criminal and civil charges and pay more than $313 million to resolve allegations that it made drugs without FDA approval, marketed an antidepressant for pediatric use, and gave kickbacks to doctors for prescribing these harmful drugs. Forest Pharma, a subsidiary of New York based Forest Labs, signed a plea agreement to settle, among other charges, the illegal promotion of the antidepressant Celexa for children, and causing the submission of false insurance claims for the antidepressants Celexa and Lexapro. The settlement alleges that Forest misled doctors and consumers by failing to disclose a European medical study that determined Celexa was ineffective for pediatric use. Lexapro is the company’s main money maker, with sales of $2.3 billion in fiscal year 2010. Click here for more information about the harmful effects of Celexa and Lexapro. In addition to cuts in Missouri’s mental health services budget made by the legislature at the end of April, 2010, Governor Nixon made additional budget cuts June 17th including cutting some mental health facility employees and more cuts to mental health services. Not to worry, the Missouri Department of Mental Health still has an annual budget that is over $1 billion. They can do a lot of damage with that. [That was sarcasm.] Write your state legislators and tell them what you think. Reports show that 10% to 25% of mental health practitioners sexually abuse their patients. One in twenty of their victims is a minor. Psychiatry has the worst fraud track record of all medical disciplines. An estimated $20–$40 billion is defrauded in the mental health industry every year. Twenty million children worldwide take psychiatric drugs daily, 9 million of those are in the U.S. These drugs can have harmful side effects such as violent behavior, psychosis, hallucinations, strokes, heart attacks, obesity, diabetes, and suicide. Giving more tax dollars for psychiatric services perpetuates the cycle of state tax largesse while harming Missouri citizens. Curtailing and cutting the mental health budget forces these state agencies to reduce their costs, thereby forcing useless and unnecessary state institutions either to improve their services or close shop. 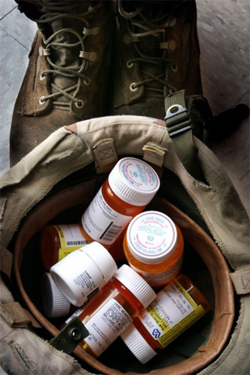 Increasing the budget for mental health services means expanding the use of expensive and harmful psychiatric drugs for which many international warnings have been issued on their harmful side effects. There are sane and effective non–psychiatric alternatives to drugging Missouri citizens with addictive and harmful psychiatric drugs. Find out for yourself. Missouri will receive $8.9 million in a settlement announced April 27 by several states and the federal government with AstraZeneca Pharmaceuticals. AstraZeneca was accused of marketing the anti-psychotic drug Seroquel for uses not approved by the FDA. The total amount of the civil settlement was $520 million, agreed to last October, to be shared by the federal government and participating states. Seroquel (generic name quetiapine) is a newer atypical antipsychotic (major tranquilizer) with side effects such as depression, liver failure, diabetes, impotence, heart failure, hostility, and suicidal thoughts. This class of drugs are also called neuroleptics, which means nerve seizing. A Missouri state Department of Mental Health employee left a severely mentally disabled woman locked inside a government vehicle for hours while she gambled at a Kansas City casino. She was supposed to be taking the woman to a doctor's appointment. She was charged with misdemeanor elder abuse. 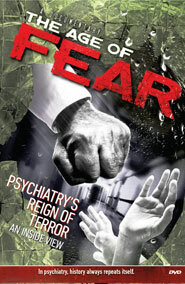 In April 2010, the Missouri Board of Registration for the Healing Arts filed a complaint against psychiatrist Dr. Surendra Chaganti for providing substandard care, unethical and unprofessional conduct, altering a patient’s records, refusing to complete courses on treating delirium, and failing to disclose his background [he was previously disciplined for substandard care] to another hospital. Chaganti still practices in St. Louis, Crystal City, and south St. Louis County (raking in $400,000 in Medicaid payments in 2009), while continuing to rack up complaints from patients, the FDA, and the Missouri Department of Health and Senior Services. The Senate Appropriations Committee endorsed a 10 percent reduction in state aid for psychiatric care, and the cuts are supported by Gov. Jay Nixon. The cuts are not final; write your state legislators and tell them what you think. The Nevada Habilitation Center, run by the Missouri Department of Mental Health for people with developmental disabilities, will close within two years. DMH also says it will no longer run acute-care mental health units for short-term patients, and several mental health care units will be closed in Farmington, Fulton, and St. Louis (at Metropolitan St. Louis Psychiatric Center on Delmar). A 16-year-old girl at state-operated Hawthorn Children’s Psychiatric Hospital in St. Louis was discovered choking on a plastic medicine cup on December 2, 2009. She was declared dead at St. Louis Children's Hospital. Pfizer illegally promoted four drugs and caused false claims to be submitted to government healthcare programs for uses that were not medically accepted. Missouri will receive $22 million as part of the settlement. The civil settlement also relates to allegations that Pfizer paid bribes to healthcare providers to induce them to prescribe Bextra, an anti-inflammatory drug, Geodon, an antipsychotic drug, Zyvox, an antibiotic and Lyrica, an epilepsy treatment. While it is not illegal for a physician to prescribe a drug for an unapproved use, federal law prohibits a manufacturer from promoting a drug for uses not approved by the FDA. This promotional activity by Pfizer included: Promoting the use of the antipsychotic drug Geodon for a variety of off-label conditions such as attention deficit disorder, autism, dementia and depression for patients that included children and adolescents. Geodon is a newer atypical antipsychotic, generic name ziprasidone hydrochloride, in the major tranquilizer category. Suicidal thoughts and violence are among the possible side effects of such antipsychotics. USA Today on May 2, 2006 reported a study that showed at least 45 children died between 2000 and 2004 from the side effects of this kind of antipsychotic drug. Despite an adults-only FDA approval for these drugs, up to 2.5 million children were prescribed them. As the FDA's Adverse Drug Reactions reporting database only collects 1% to 10% of drug-induced side effects and reported deaths, the true child death rate could be between 450 and several thousand. According to the St. Louis Post-Dispatch, the Missouri State Board of Registration for the Healing Arts placed Dr. Nai Shu of St. Louis on probation for three years starting last February. According to the board, Shu prescribed inappropriate amounts of the anti-anxiety drug Xanax to six patients in 2006 and 2007, apparently without giving them medical exams. “A long-awaited Department of Justice investigation of Northwest Habilitation Center scheduled for public release today found serious problems with the care and safety afforded some of the state’s most severely disabled residents. “The investigation by the Justice Department’s Civil Rights Division followed the deaths in recent years of two patients at the state-owned and operated center in unincorporated St. Louis County near Overland. Northwest houses 68 residents. A Potosi doctor, Dr. Seth Paskon, linked by local coroners to dozens of patient deaths has defrauded Missouri’s Medicaid program and written unnecessary prescriptions for powerful painkillers and anti–anxiety drugs, a jury ruled on Thursday, July 31, 2008. Lately there has been much noise around a proposed tax increase called “Putting Kids First” pushed by various mental health agencies. This would create a fund generated by an increase of 1 cent on every $4 of sales in St. Louis County, the money to be paid to non-profit agencies who provide mental health and substance abuse services to children aged nineteen and younger in St. Louis County. On the surface, this seems like a do-gooder kind of thing. In reality, however, much of the money will be used to hook children on addictive and abusive psychiatric drugs. They say that this money is needed to subsidize them because they are not getting enough funding for mental health and substance abuse services for children and youth. But at the same time, the budget for the Missouri Department of Mental Health in the last 6 years has jumped 170% to over $1.1 billion. The tax money we are already paying is not being well spent; it doesn't make sense to throw more money where over a billion dollars a year is not helping. Let’s look at this from another point of view. The psychiatric services promoted by “Putting Kids First” usually mean the prescription of psychiatric drugs, they say this on their website. Since 2003, when the Missouri mental health budget started to skyrocket, there have been more than 60 international drug regulatory agency warnings about the risks inherent in taking psychotropic drugs. Antidepressants can cause suicide and hostility; antipsychotics can cause life-threatening diabetes; and stimulants prescribed to children may put them at risk of heart problems, stroke and even death. Alternative ways of helping those suffering from mental disturbance are buried by the marketing hype that “mental illness” is the result of some neurobiological dysfunction or chemical imbalance that can only be corrected with psychotropic drugs. There is no scientific merit to these claims but they support drug sales of more than $27 billion a year in the United States and $80 billion worldwide. Not only do psychiatrists not understand the etiology of any mental disorder, they cannot cure them. In effect, psychiatrists are saying that mental problems are incurable and that the afflicted are condemned to lifelong suffering - on psychotropic drugs. Though psychiatry may have given up on mental healing, this is fortunately false. Mental problems can be resolved without drugs, and thankfully so. While life is full of problems - and sometimes these problems are overwhelming - psychiatry and its diagnoses, treatments and drugs, are not the solution; and we should not be voting for taxes that pay for these fraudulent and abusive diagnoses, treatments and drugs. There are far too many workable alternatives to psychiatric drugging to list them all here. Psychiatry on the other hand, would prefer to say there are none and fight to keep it that way. That leaves a medical practitioner with a choice between fact and fiction, between cure and coercion, and between medicine and manipulation. For more information about alternatives to psychiatric drugging, read the report Mental Health Care: What is the Alternative to Psychotropic Drugs? available from the Citizens Commission on Human Rights of St. Louis. CLAYTON -- The mother of a mentally retarded young man who ingested an ink pen at the Northwest Habilitation Center has reached a tentative out-of-court settlement over her son's death. Have you or someone you know been wrongly diagnosed with a mental health disorder? Contact health reporter Blythe Bernhard at bbernhard@post-dispatch.com for a story she’s reporting. This announcement appeared on the St. Louis Post-Dispatch web site http://www.stltoday.com/news on Tuesday, 13 May 2008. SPRINGFIELD, Mo. — The owner of a Missouri group home where 11 people died in a 2006 fire faces a raft of new federal charges. … [He] allegedly ran five southwestern Missouri group homes for the mentally ill despite having a 2002 felony conviction for Medicaid fraud that barred him from operating a business that bills Medicaid. Denouncing the fact that internationally more than 100,000 patients die each year in psychiatric institutions and an estimated 15,000 American children have died as a consequence of taking psychiatric drugs, the St. Louis Chapter of the Citizens Commission on Human Rights (CCHR) presented the “Psychiatry: An Industry of Death” international touring exhibit in St. Louis from January 5 through January 19, 2008; and January 21-22 in Jefferson City. Mary “One” Johnson helped open the exhibit which features 15 display panels that incorporate audio-visual presentations depicting human rights abuses by psychiatry and carry statements from health professionals, academics, legal and human rights experts, and victims of psychiatric brutalities. The exhibit also addresses a federal plan that would screen the state’s children for “mental illness” that could lead to a threefold increase in the number of children being subjected to the devastating effects of psychotropic drugs. The 185-foot, state-of-the-art exhibit exposes psychiatry as an industry driven entirely by profit. It traces the origins of psychiatry, the role psychiatrists have played in the oppression of blacks and minorities, the roots of their eugenics programs and the pivotal part they played in the Holocaust. It also reveals how psychiatric drugs are behind gun-toting teens today going on shooting sprees, and how millions of federal dollars allocated to screen all 52 million American schoolchildren could increase both child deaths and acts of school violence. People touring the exhibit signed a petition opposing funding and implementation of mental health screening in schools. The touring “Psychiatry: An Industry of Death” exhibit theme is patterned after a recently opened museum by the same name at the Los Angeles headquarters of Citizens Commission on Human Rights International, a psychiatric watchdog group with 300 chapters worldwide. Co-founded in 1969 by the Church of Scientology and Dr. Thomas Szasz, Professor of Psychiatry Emeritus at the State University of New York Health Science Center in Syracuse, CCHR investigates and exposes psychiatric violations of human rights. 20 million children worldwide are taking psychiatric drugs, including 10 million in the United States, which can cause suicide, hostility, violence, mania, strokes, heart attacks, diabetes and death. Antipsychotic drug prescriptions for children increased fivefold between 1993 and 2002 in the United States, during which time 45 children died from the drugs. In recent years, stimulant drugs have caused 19 child deaths, although as only 1% to 10% of drug adverse reactions are reported, the death toll from children taking antipsychotic drugs, stimulants and antidepressants could be as high as 15,000. 10% of American teens (2.3 million) are abusing psychiatric stimulants. Internationally, psychiatrists kill up to 10,000 people each year with their use of electroshock—460 volts of electricity sent searing through the brain. Three-quarters of all electroshock victims are women. Psychiatrists and psychologists have raped 250,000 women. Studies show that 10 to 25 percent of psychiatrists sexually assault their patients; of every 20 of these victims one is likely to be a minor. “The audit turned up nearly 700 cases of people with questionable backgrounds working with the elderly, mentally ill and foster children at various state-run and state-licensed residential centers.” 129 people with probable cases of child abuse and neglect were working at facilities run or licensed by the Department of Mental Health; 447 similar cases were found in the Department of Health and Senior Services; another 105 similar cases were found in the Department of Social Services. Write a letter to the editor to express your opinion of this appalling trend. Wednesday, October 10, 2007 was Mental Health Day, a day sponsored by the World Federation for Mental Health to advocate the need for more psychiatrists and more funds for mental health treatment. This year’s WFMH slogan is “Mental Health in a Changing World: The Impact of Culture Diversity.” This is really the psychiatric industry’s attempt to cross cultural boundaries to get their fraudulent and abusive methods accepted by everyone. CCHR St. Louis was “part” of the world Mental Health Day by holding its own public information event with the slogan: “Mental Health in a Changing World: A Time for Treatment Diversity.” In other words, it is time to increase the warnings about the dangers of psychiatric treatments, especially drugs that cause violence, suicide and death, and for governments to channel funding into workable non-drug alternatives. Click here to see photos of our public awareness campaign at the Federal Courthouse in downtown St. Louis. KSDK-TV Channel 5 in St. Louis, MO aired a story Thursday, July 19, 2007 about a psychologist who just surrendered his state license to practice for inappropriate sexual advances to one of his patients. Read about it here. The St. Louis Post-Dispatch published an article Monday, July 16, 2007 stating that “Federal authorities are investigating the Missouri Department of Mental Health’s handling of the death of Rutherford ‘Rudy’ Wallace, who died last year after a worker severely scalded the paralyzed and mentally retarded man while giving him a bath.” Read the whole investigation into patient abuse in the Missouri Department of Mental Health here. Meanwhile, the number of uninsured people in Missouri continues to grow, increasing 15.4 percent from 2005 to 2006. To find out the relationship between the increase in uninsured and failures (fraud and abuse) in the mental health system, read the CCHR publication What Does Mandated Mental Health Parity Pay For?.